I activated the premier service yesterday specifically for the wifi tethering capability which was originally announced to be included with the $20 unlimited everything plan which is really being sold as an add-on. 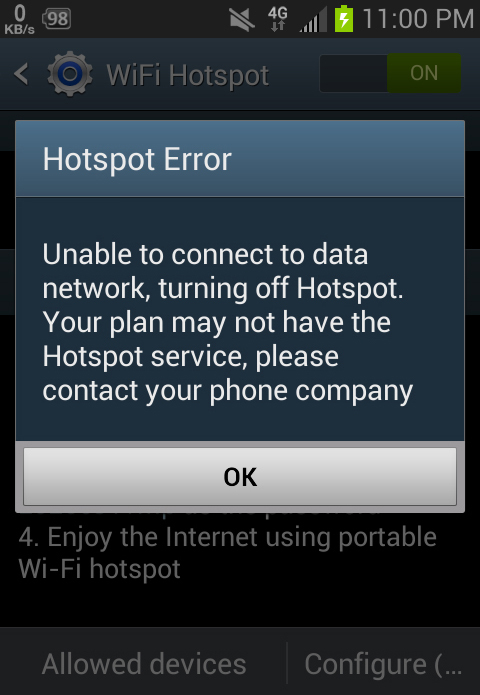 I can only get the hotspot functionality to enable when I manually set the data mode on the phone to CDMA only (3G). When it is set to LTE/CDMA it immediately disables the hotspot telling me I am not subscribed to the hotspot service. Also, the system update menu is "missing" or not available from the settings menu so I am not able to manually run a profile and PRL update. It should be right above the "About device" option. It is running the FreedomPop Android version which shipped with the phone. I should note that EVERY time the phone boots, I get the Android is upgrading prompt where it optimizes every app I have installed. This should not be happening every time the phone boots. This has always been the case since I received the phone back in June. Something has to be up with either my FP account or FreedomPop's system which is preventing the hotspot service from enabling when the phone is in LTE mode. I did a factory reset and ater the first automatic PRL update, the hotspot function worked in LTE/CDMA mode but a few minutes later it did another PRL update and killed it. 3. It will process through and when done, it will enter hands free activation. If this fails, connect to WiFi or 4G and Update your PRL and Profile by going to Settings -> System Update -> Update PRL/Profile. @Vincent Sparzak‌ , The PRL and Profile is done thru "hands free activation", so they remove the update tab from the phone. My is that way too. I do not use the hotspot feather on my because they're not too little amount of data to use as web browser. Hope that the hotspot is not set to CDMA only use because if this is the case you be unable to use LTE. Do the MSL reset, but before you do, make sure you backup everything so you can restore the app you downloaded. You have to login to your google account after the reset. Also enter your e-mail into messaging app. I fond this link in freedompop.com web site that talk about the hotspot. When I click the link to view the MSL code in the device summary, the MSL code does not show up. When clicking the link to view the MSL code under the device status, the row for the MSL code does not show up. Also, the MSL code was not in the welcome email where that is usually found if the MSL code is given. At this point, the hotspot functionality no longer works on CDMA mode where it has worked previously. It only worked for a few minutes on LTE after I did a factory reset and it went through the first automatic PRL update. A few minutes later the phone did another PRL update which killed the hotspot functionality. When the phone is set to LTE/CDMA mode (4G/3G) I get the error in the second screenshot where is says I do not have the hotspot service. When the phone is set to CDMA only (3G) and I activate the hotspot functionality, I get error code 67. When the hotspot function is disabled the phone and data continue to work as expected so I am not sure why error code 67 is shown when activating the hotspot om 3G. 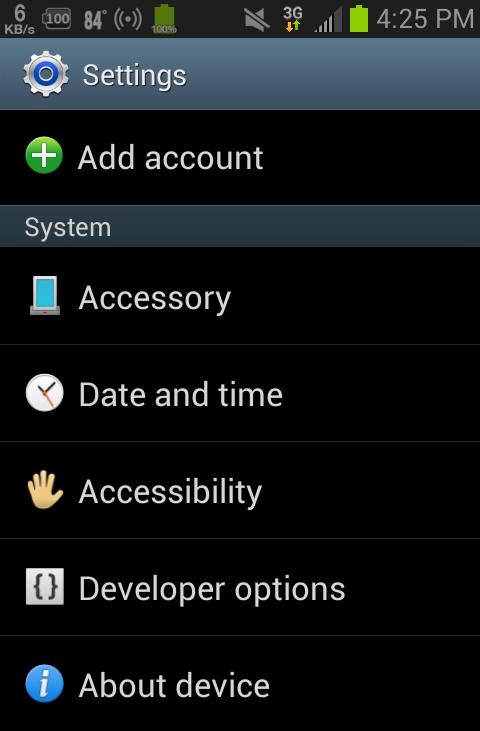 All of this has been done after a complete factory reset without using the MSL code since I do not have it. I the moment I am not concerned about the data on the phone due to this process of troubleshooting. It appear that when you did the reset, you had to do the PRL and Profile. It appear that the PRL update was not successful, that why you getting error 67. PRL is for 3G. Admin, can you get the guy has MSL code so that he can do MSL reset? The strange thing after the reset is the two aforementioned automatic PRL updates showed successful from the dialog box which pops up after the hands free activation and second PRL update shortly after activating the hotspot functionality for the first time after the reset. The important things continue to work normally after the reset (voice/text/data) however now I cannot turn on the hotspot at all where it worked when the mode was manually set to CDMA since it would immediately disable with the error: "you are not subscribed to the hotspot service" when the mode was manually set to LTE/CDMA. I will be curious to see what happens when I get the MSL code to perform the reset. Did you try 000000 as your MSL? I have already tried all of the typical MSL codes to no avail.